The Prospect House, a Georgian-style "mansion", is a treasure in its own right. Captain Colehour built the house in 1882, based on architectural drawings from his home in Chicago. In 1886 Captain built an addition onto his house and began to offer his home, which he then called "The Prospect Inn", as a seasonal resort. He operated the resort until 1924 when his wife made him retire at age 82. The Prospect Inn was perhaps the first and largest resort in the lakes area, operating for 38 years. Captain's daughter, Kathrina, and her husband, Ernest Wilkins, remodeled the interior five years later, in 1929. The house's furnishings and decor have not been changed since that time. 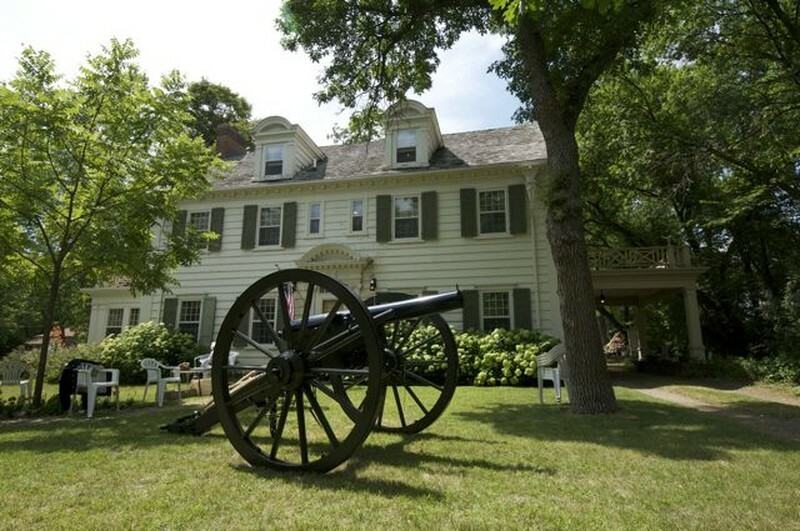 Continually inhabited by descendants of Captain Colehour since 1882, the Prospect House features the Civil War Museum in the lower level. Century old trees define the grounds where the Prospect House was originally built and remains today as a historical site in Battle Lake, Minnesota. Historical markers around the yard tell the story of the Prospect House.